In September, Alitalia is launching a new lower, year-round, carry-on fare called ‘Light’. Light will be offered to those with no checked bags and who book on-line. It will be offered on domestic routes in Italy as well as to certain European, UK and North African destinations. It is reported to be 25 percent less than regular fares. Light will provide on-board catering and mileage accrual. With the proliferation of passengers travelling almost exclusively with carry-on suitcases to avoid paying baggage fees, which in North America generated $1.6 billion in revenue in the first three months of 2015, this is a refreshing change in pricing models. Alitalia has had a difficult few years, so this is an aggressive way to position their competitive advantage vs a the popular pricing model employed of offering less service in lieu of a price increase. Some of the discount airlines have operated on the myth of being cheaper than legacy airlines, but while their ticket may have been astonishingly low to start, they made up for it with other charges. One airline went to the extreme of weighting purses and backpacks – anything over 5k was changed on a per k basis. Another airline decided to charge for overhead baggage space in the passenger compartment. This is an offer the industry and travellers will be watching. A recent article referred to the “bleisure” travel category. Bleisure is the marriage of a business and leisure trip. It’s not a new concept, merely a name for what has long been happening. Just as “staycation” wasn’t anything new beyond naming what many people had long done. It’s not unusual for busy business people or professionals to tack “me time” on to a trip, especially when attending an annual conference or travelling internationally. While a regular weekly/monthly/or quarterly sales call may not allow some, much or any downtime, the annual conference or convention is different since it’s planned much further out, thereby allowing for better scheduling by attendees. And in some situations, staying longer is the cheaper option since flights can be booked at a discounted rate. A tip of the hat to the most famous Islander never to live and a bag of experiences. Part of the appeal of some annual events is the destination. Since this is the company or association’s annual showcase, prize destinations are chosen as the host community. Beyond the educational component of the business event and the opportunity to mingle with distant colleagues and clients, is the potential for self indulgence by slipping in a few days as that personal treat. North American planners tell me that European destinations have that appeal because attendees know it costs more to go there. Thus, there is both prestige in an event invitation coupled with personal desire to experience the destination. Coastal cities also benefit from higher attendee registration because most are outside of the normal pattern of business travel and since most people live in land-locked communities the chance to see the sea is a bonus. 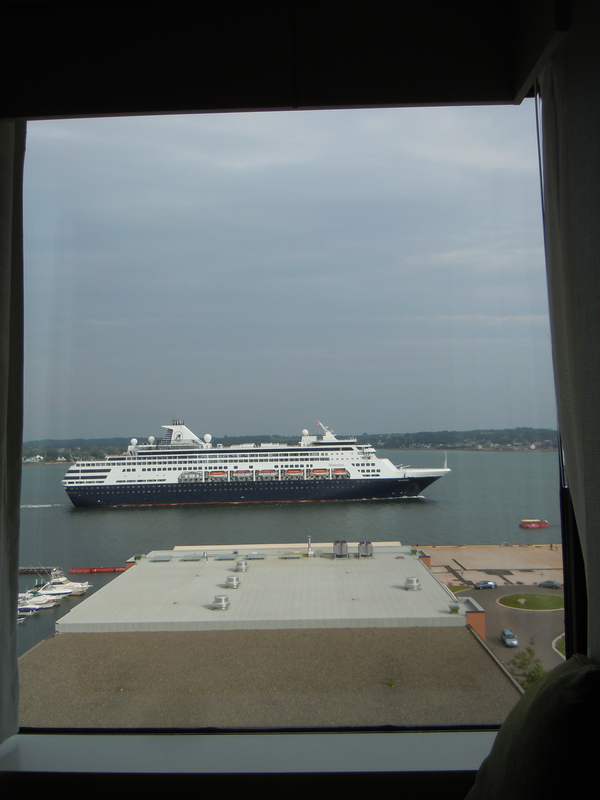 Not your typical hotel room view. Canadian coastal cities which track these numbers have found attendance increases of six-to-15 percent over previous inland events! One destination discovered that 48 percent of conference delegates added five personal days on to their business trip. That is a massive positive economic spin off from business travel. 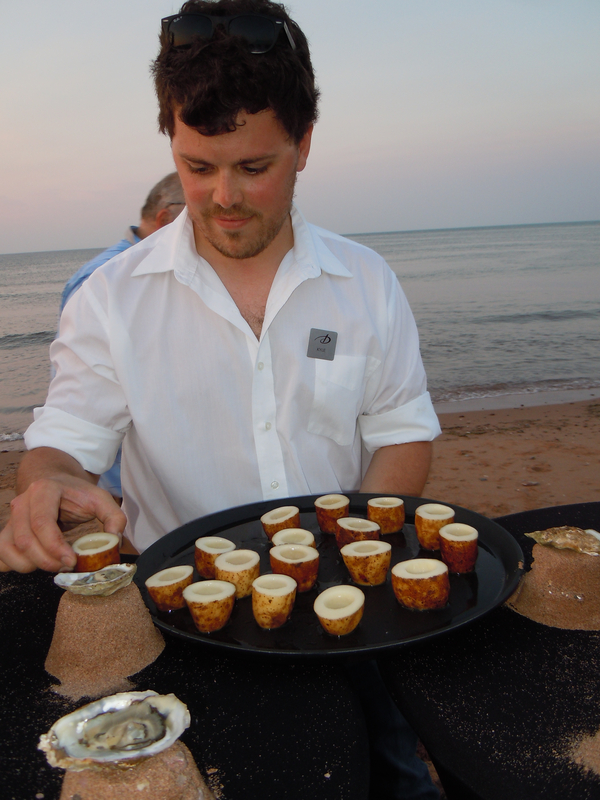 I recently participated in a planner familiarization tour hosted by Meetings & Conventions Prince Edward Island. 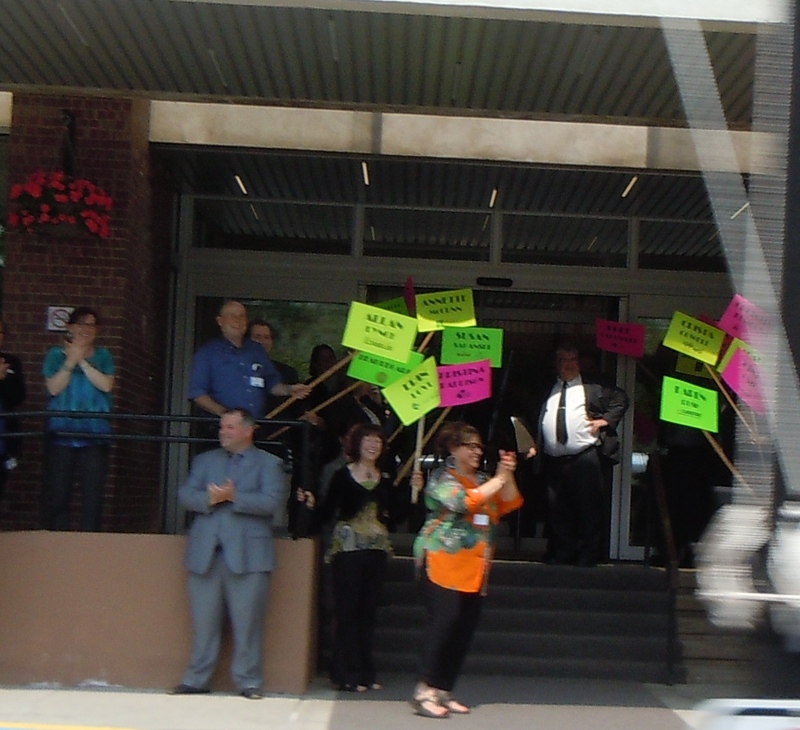 The participants were professional meetings planners from across Canada and California. All were blown away by the program. These planners were looking for destinations in which to bring 400-to-900 delegates. Figuring that the official business program means each attendee is in the province for an average three-night stay – before bleisure – that is a significant economic boost to the destination. 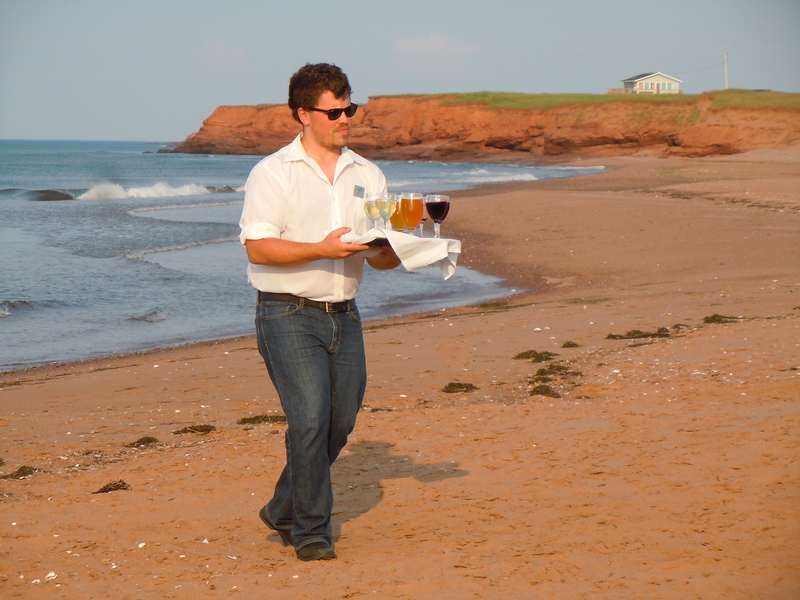 Naturally, with this much business at stake hosts pull out all the stops to wow their guests. 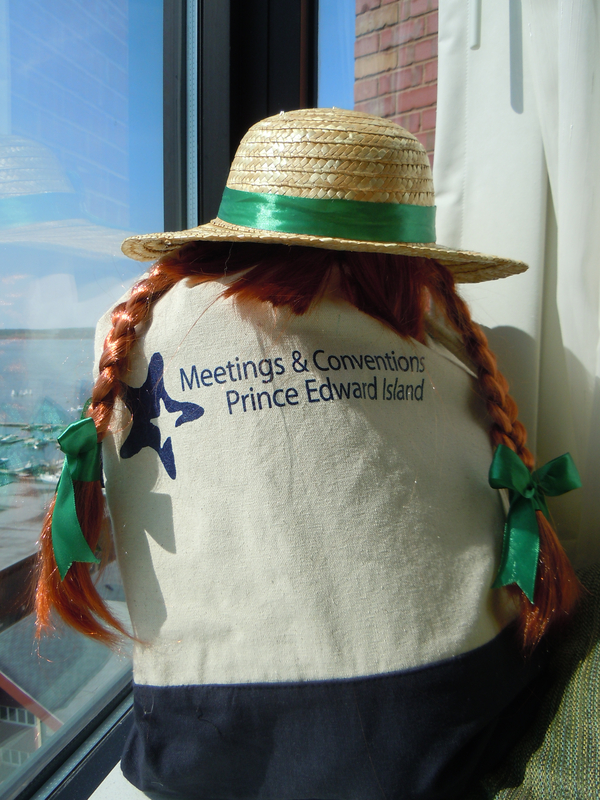 Meetings and Conventions PEI pulled off a brilliantly authentic program that was both sophisticated and simple. A big room in a small city. 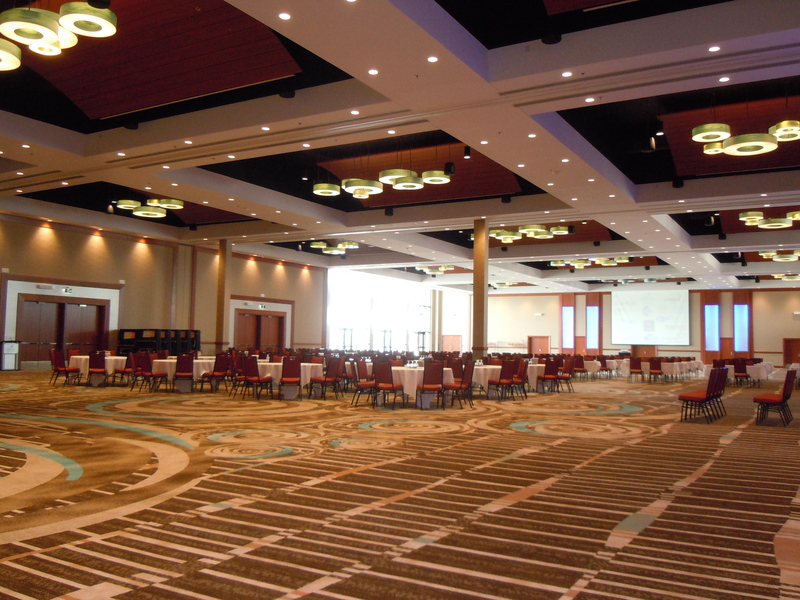 The PEI Convention Centre’s main ballroom offers harbour views. delicious backdrop of the Island geography, history, culture and cuisine. Yes, we donned straw hats and red braids and toured Green Gables, but in two-and-a-half days we also learned of group options at the national park, the Holman Grand, Rodd Charlottetown, Delta Prince Edward, PEI Convention Centre, New Glasgow Lobster Suppers, New Glasgow Hills Golf Course, PEI Preserve Company, PEI Brewing Company, the gouda guy, Inn on Great George, the Clinton Hills event barn, the ConFederation Centre for the Arts, Dalvay-by-the-Sea, The Dunes and introduced Island icons like COWS and Paderno to people who didn’t know about them. After the formal program, some planners toured three Rodd-managed golf resorts. 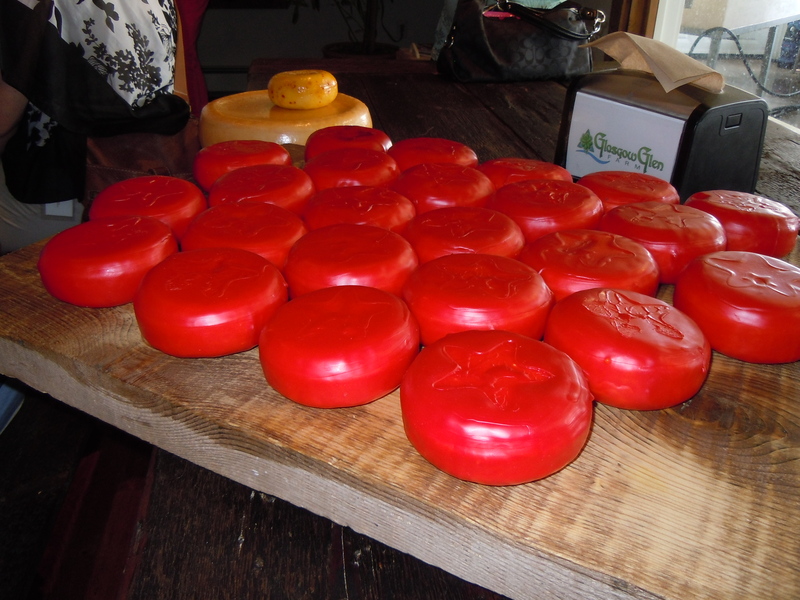 One of the Island’s unique delegate pillow gifts – or go large for a speaker’s gift – is gouda stamped with the company logo. The meetings and incentive sectors thrive on ROI and WOW. Typically daytime is devoted to ROI, while nights provide the WOW. A shaky camera through a coach window of a truly unique, creative hotel welcome by the Delta Prince Edward. the day with Dinner in the Dunes. 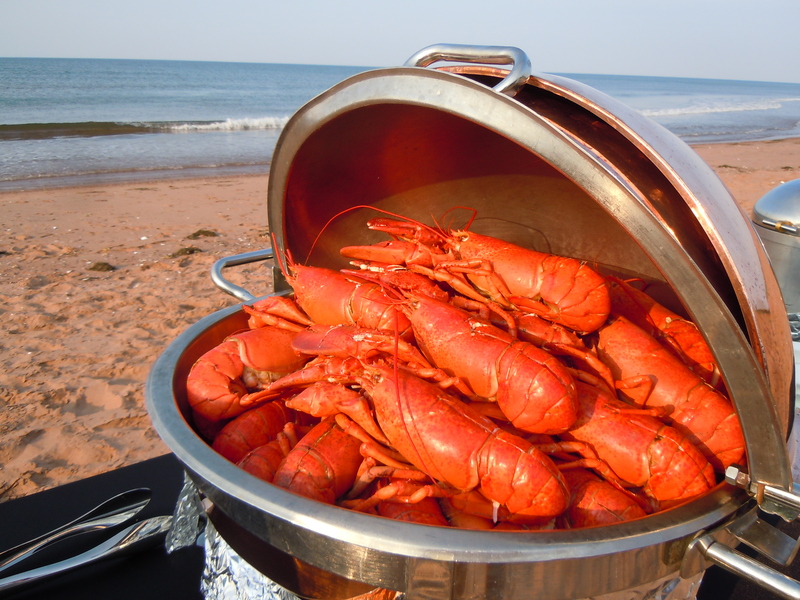 After finding COWS beach towels and flip flops waiting for us in our rooms we were taken by coach past the Lake of Shining Waters to the beach for an evening of lobster, mussels, oysters, Island wines, beer and a moonshine shooter served in a hollowed-out potato, which was a creative homage to PEI’s premier agricultural product. The evening included a nine-piece Cuban jazz band, a professional sand sculptor, masseuse, paddle boarding, bonfire, dancing in the sand and a fiery sunset. Who couldn’t imagine a barefoot board meeting? 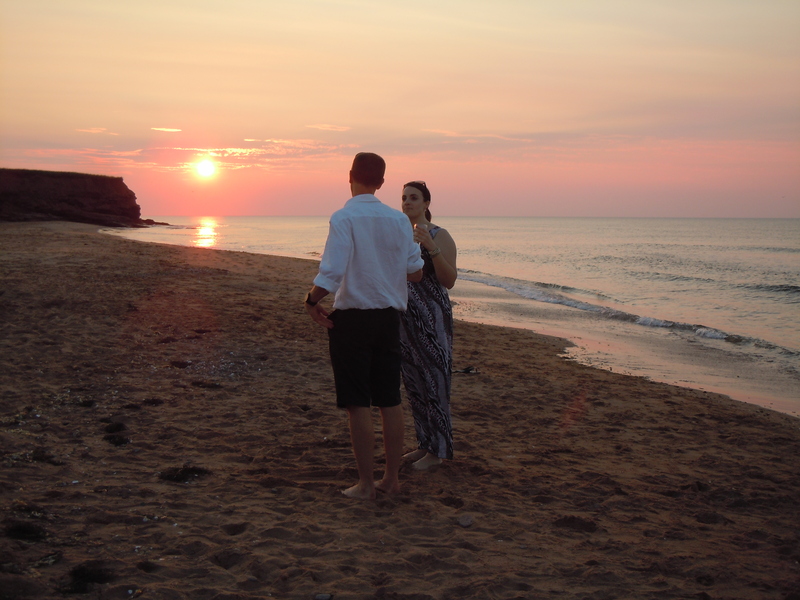 Doing business, barefoot, on the beach in PEI. 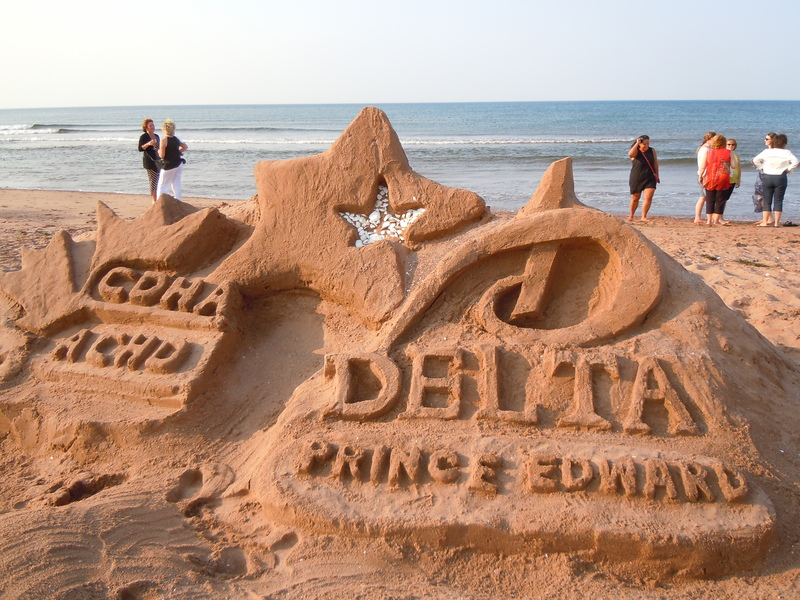 It was a brilliantly sophisticated showcase of PEI’s creativity when it comes to harnessing their unique assets for the benefit of groups. Having experienced this, it’s easy to imagine a significant number of business travellers extending their stay for a bleisure trip. And a banquet of local delicacies. JFK in New York is building a $47 million air terminal just for animals. Does your website drive away business?